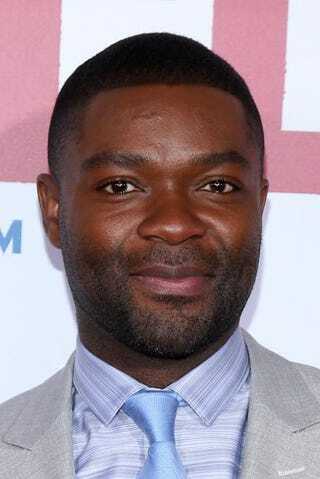 David Oyelowo attends the premiere of Selma at the Ziegfeld Theater Dec. 14, 2014, in New York City. On the heels of being nominated for a Golden Globe for his performance in Selma, David Oyelowo is set to co-star with Lupita Nyong’o in the movie Americanah. Americanah is based on the best-selling novel from Nigerian writer Chimamanda Ngozi Adichie. The love story is about two Nigerian immigrants and the struggles they face during their relationship. The novel was selected as one of the 10 best books of 2013 by the editors of the New York Times Book Review and won the 2013 National Book Critics Circle Award for fiction. According to Variety, Brad Pitt, along with Nyong’o, is producing the movie. Earlier this year, Nyong’o optioned the rights to the film. Pitt’s production company, Plan B, was also responsible for producing Selma. No production date or writer has been attached to the film as of yet.